It all comes down to accountability. 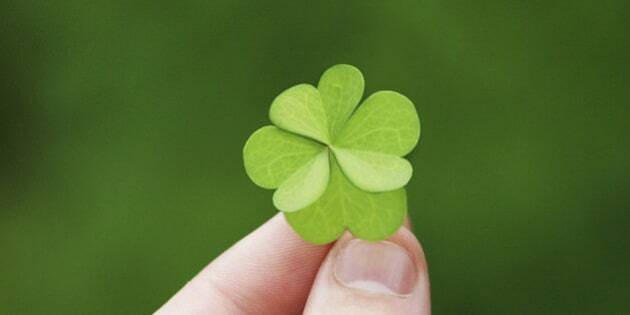 It isn't about luck. It is about effort, attitude and willingness. Stop giving yourself excuses why you are where you are, why you don't have what you think you should have, or why you don't have what others have. I just bought a new car. And yes, it is a really nice car, and I feel really good when I drive it. Somehow it doesn't make everyone else feel good. For some reason, they feel the need to compare and judge. And somehow I come out being lucky for my success! I've heard comments such as "You are so lucky you have such a good job" or "I wish I were as smart as you are" or even "You're lucky with everything you do!" My success isn't about luck. Getting 80 per cent on a university midterm is not solely responsible for where I am today. There are so many ways to make a success of what you do that take no money, no book smarts, and even no talent! I get tired of hearing the excuses that everyone uses when they complain, when they compare, and when they justify their place in life. As a matter of fact, I just had a conversation with someone yesterday who once again used the "You're very lucky to be where you are" statement. We were talking about his money mismanagement problems, and somehow none of his debt was his fault, and my success was just luck. •	Being On Time. When you go to work every day, being on time is fairly easy to do. If you are consistently late because of traffic, then the problem isn't the traffic, it is the fact you hadn't left early enough to compensate for the traffic. Once in a while you can use the traffic excuse, but consistently? No, then it becomes an estimation mistake on your part. Stop blaming other people for you being late, and give yourself more time. It is disrespectful for you to be late; and says a lot about you and the way you value the time of others. You're not unlucky if you consistently underestimate your commuting time, any more than you are lucky if you do calculate it correctly. It's planning, not luck. •	Work Ethic And Effort. When you are at work; work! Earn the money they are paying you. The better your work ethic and effort, the more luck you will have when it comes to promotions, better-paying jobs and even job satisfaction. If you expect your company to value you 100 per cent, then start giving them 100 per cent of you while you are there. •	Attitude. I truly believe that your altitude is determined by your attitude. When I saw my dream car, I said to myself "Someday." It wasn't "someday when I win the lottery", it was "I will work hard enough, save my money properly, and someday I will buy myself this reward." I took responsibility and had the right attitude. Your attitude about your abilities significantly matter. •	Being Respectful. Stop talking trash, gossip and garbage about other employees, your boss, or even the competition. I always think that if you say that about other people when they aren't around, what will you say when I'm not here? •	Being Coachable. We can all learn something new. We can all learn a different perspective or a different approach. Becoming too set in your ways is just another excuse. Stop saying you are too old, too set in your ways, or things like 'If it isn't broke, don't fix it". Admit there might be a different way. Admit someone might know something that you don't, and don't assume that just because they are younger means they don't know as much as you do. Own it. Be proud, and take responsibility and pride for where you are. If you aren't proud of where you, then read this article again and take charge of your life and your job!